Your New Opinion: Your New Opinion - Ep. 92: Is a Hot Dog a Sandwich? Let's get to the meat of the issue, shall we? The boys discuss one of the most difficult debates out there, so the whole world can just stop already. Is a hot dog a sandwich? This argument is just the wurst. Nick turns into a brat saying that hot dogs most definitely are NOT sandwiches. Meanwhile, Mike goes on a roll arguing that they are. Our judge, Ryan, relishes in the fact that he doesn't even have to come up with points. Discussion topics include: the National Hit Dog and Sausage Council, split rolls, food trucks, Oscar Mayer, the Food Network, apple sauce, Anthony Bourdain, Jeff Mauro, the Illuminati, the electoral college, and smushing hot dogs with your feet. Is Mike a petty child who screams like a baby? Has Ryan ever watched competitive food eating? Does Nick worship Moloch, god of sacrifice? 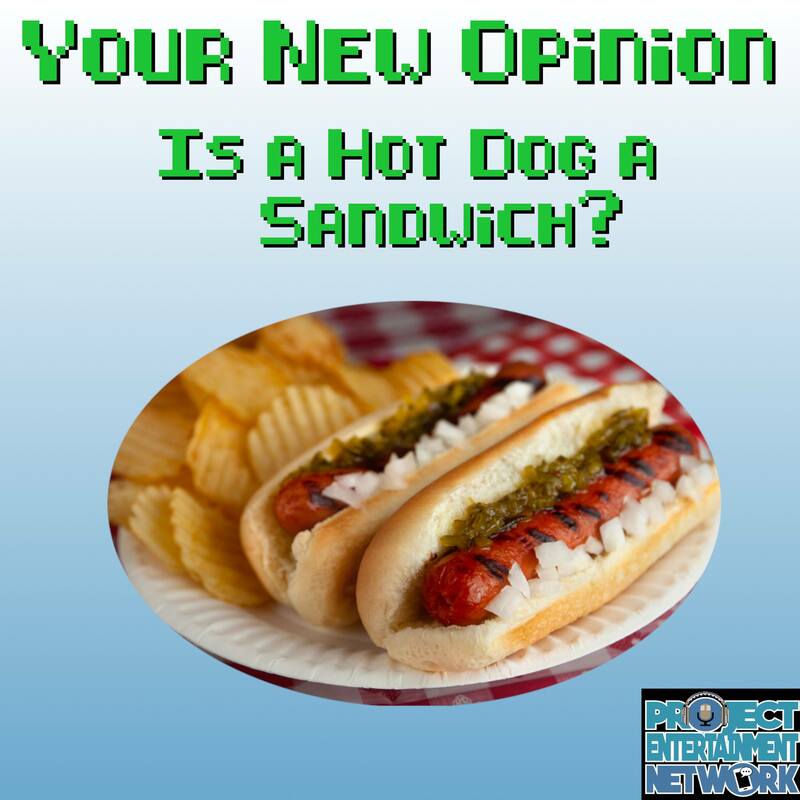 Find out by hamming it up in: Is a Hot Dog a Sandwich?